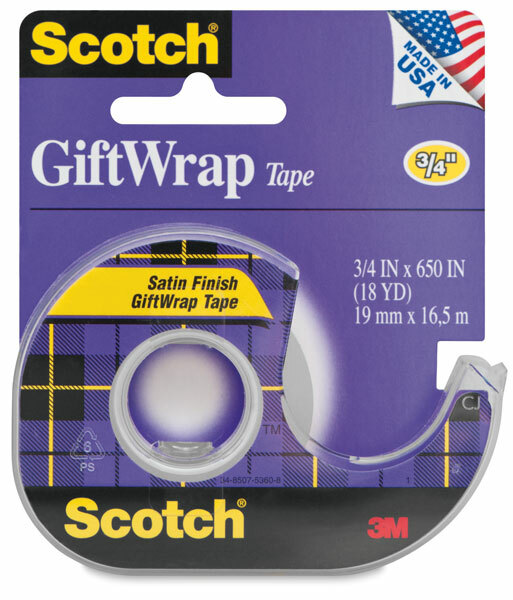 Scotch GiftWrap Tape features a unique satin finish that virtually disappears on most wrapping papers. It is easy to dispense and sticks securely. ® Scotch is a registered trademark of the ® 3M company.